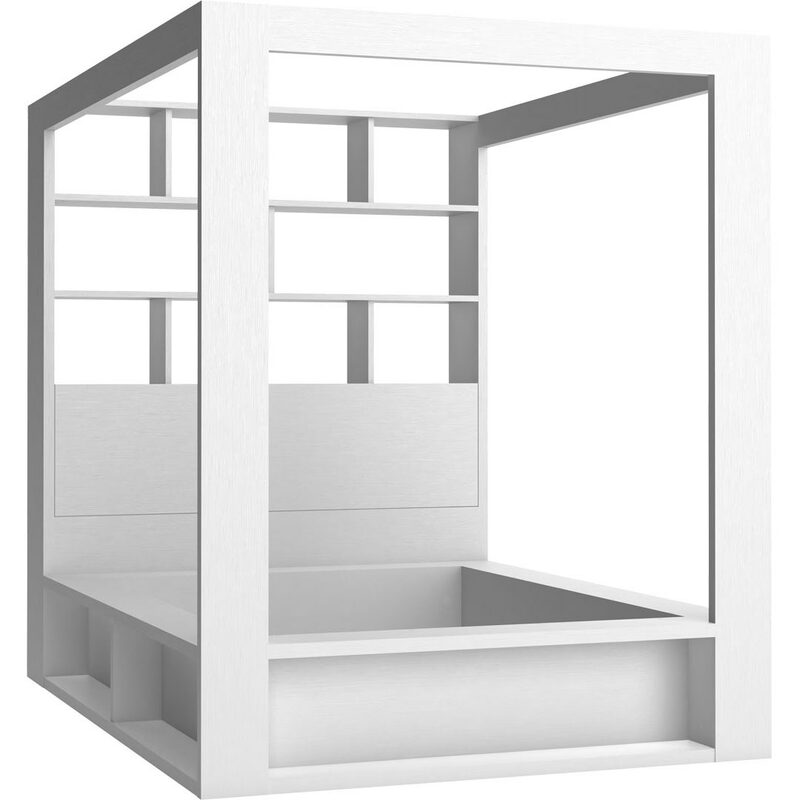 The supremely functional 4You Double Bed with Canopy & Shelves - White from the 4You collection by Vox is what dreams are made of! 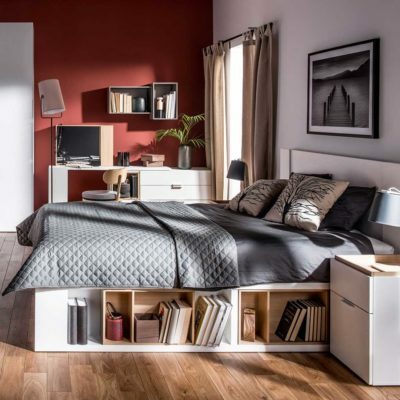 The sturdy canopy frame extends over 2 metres high and incorporates a bookshelf behind the head of the bed for displaying books and objets d'art. 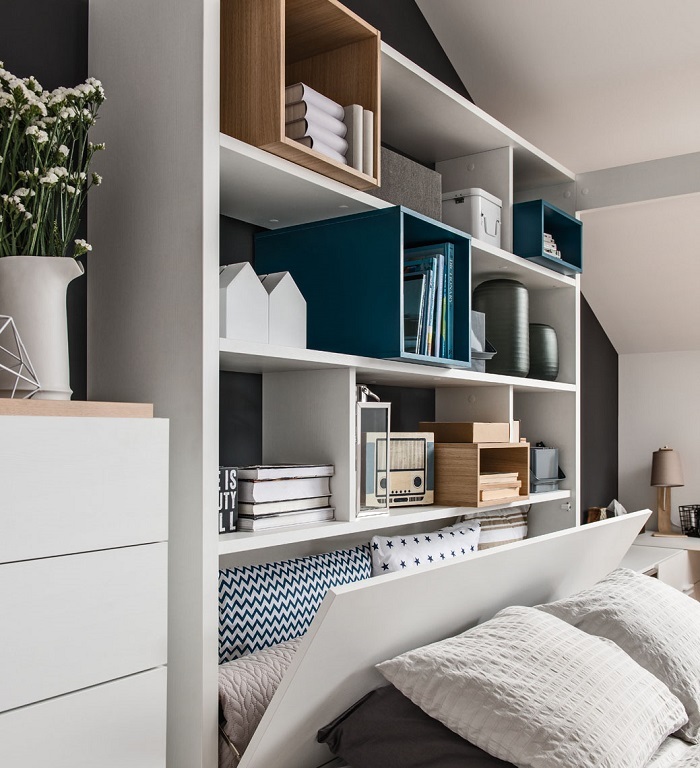 The headboard has a hidden cupboard for storing extra bedding, with the bookcase's asymmetrically divided shelves extending above. 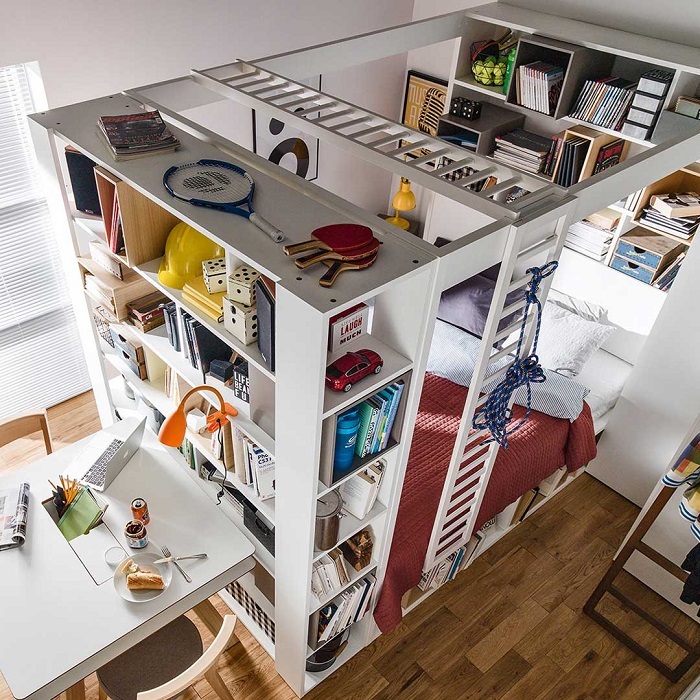 The bed has further shelving around the base of the frame for books and other small items, which is conveniently within arm’s reach. 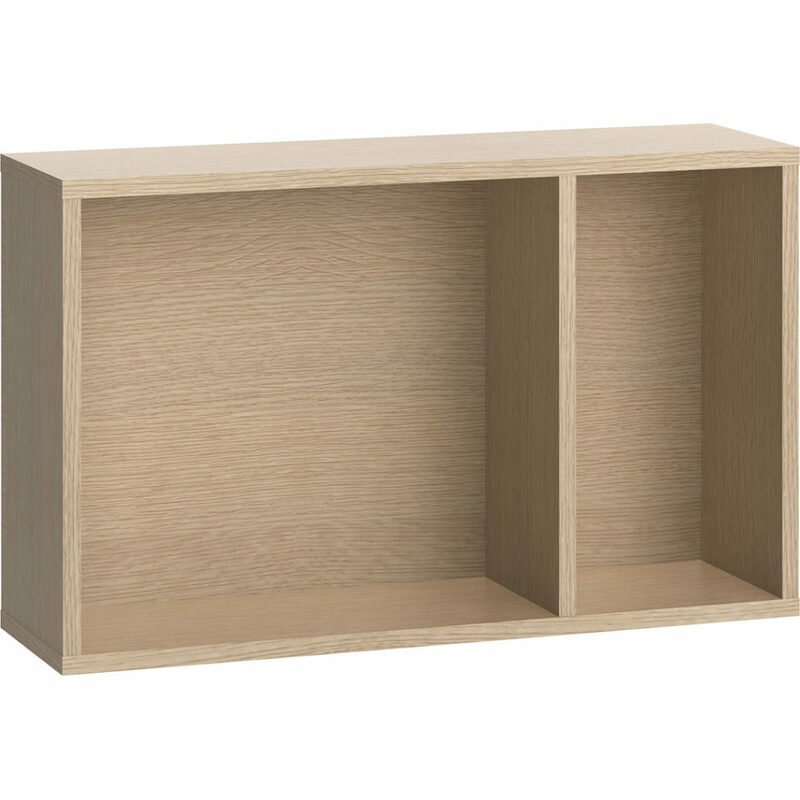 The Oak 4You Bed Chests (available separately) fit perfectly into the base shelves for an additional decorative and functional element. 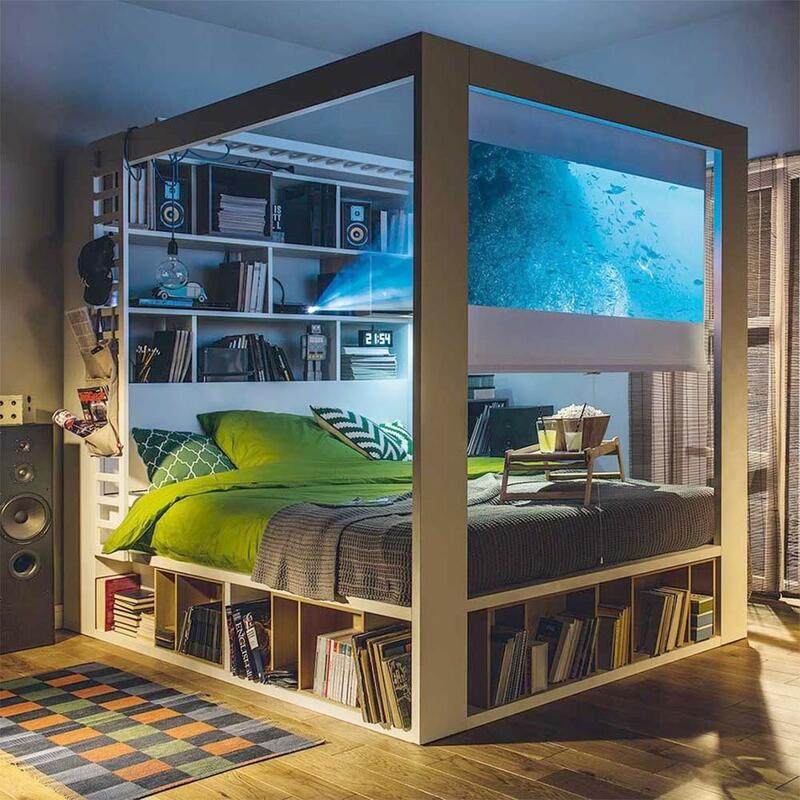 This bed offers you a myriad of options for personalising and decorating it to your heart's content. You can create an intimate atmosphere by draping your favourite fabric over the top and sides, and even suspend plant holders and additional lighting from the top. The custom Top and Side Ladders (available separately) can be fitted anywhere on the frame for additional hanging and storage space. The bed is European double size which is extra long - 137cm x 200cm - and requires an appropriate mattress which is available separately.